Good news for the NFL and the Los Angeles Chargers: Philip Rivers is going to be around for awhile. The 35-year-old Philip Rivers has no plans on hanging it up anytime soon. Rivers was elected to his sixth Pro Bowl last season, throwing for 4,386 yards and 33 touchdowns. However, he also threw a career high and league-leading 21 interceptions. The Chargers have made the playoffs just once in the last seven years. They’ve finished last in the AFC West each of the last two years, totaling nine wins. Their offense ranked ninth in points last year. He’s under contract with the Chargers until 2020. If things don’t turn around for them in the next year or two, expect Rivers to look for other opportunities. Forever linked to fellow 2004 draftees Eli Manning and Ben Roethlisberger, Rivers is the only one of the three without a ring on his finger. Rivers has only been to the AFC Championship Game once, suffering a 21-12 loss to the New England Patriots in his second season as the starter. While Rivers plans on being around for the foreseeable future, he already has a post-retirement plan. 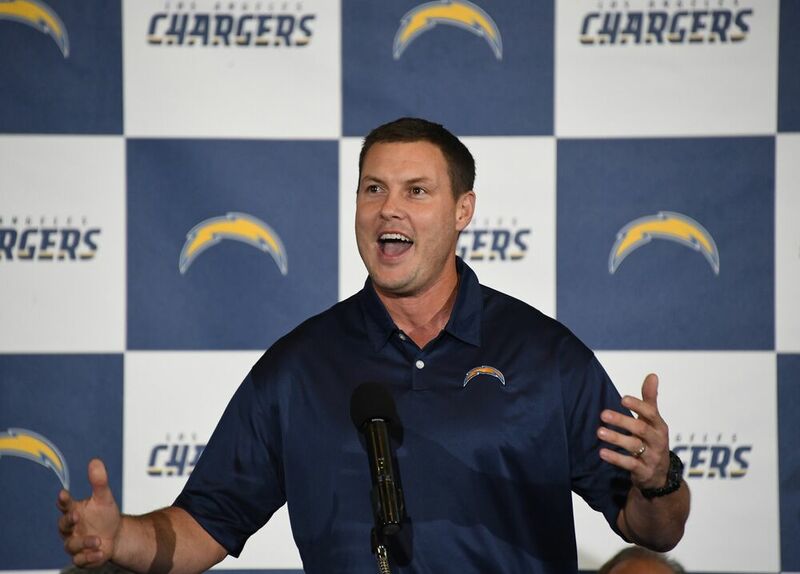 “I want to coach my boys and coach those boys that are 15 to 18 years old,” Rivers said. Rivers’ oldest son, Gunner, is nine. Based on this information and Rivers’ timeline, it would appear that he will play until he’s at least 40.